Adderall is an addictive amphetamine drug that is most commonly prescribed as a treatment for ADHD. Although it can be a beneficial medication, many people abuse Adderall for its stimulant effects including wakefulness, alertness, and weight loss. There are different street names for Adderall used by those who sell and abuse the drug. Many of the incorrect notions about Adderall add to the list of street names. It is often referred to as a study drug or study pill. Adderall is often called the smart drug as well. Many people do not realize how abusing Adderall can actually be detrimental to your school performance. Who Uses Adderall Street Names? 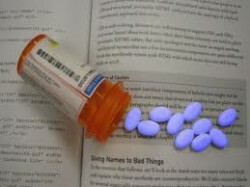 Adderall is sometimes called a ‘study drug’, and college students often abuse the medication. While both children and adults can be diagnosed with ADHD and prescribed Adderall, many people either abuse their own prescriptions or buy the drug from someone else. The highest population of Adderall abusers, though, lies on college campuses. According to SAMHSA, “An estimated 6.4 percent of full-time college students age 18 to 22 used Adderall nonmedically in the past year.” The abuse of Adderall is dangerous and becomes even more so when combined with the abuse of other drugs. College students take Adderall in order to study longer, work harder, stay focused, get high, and lose weight. Someone may take the drug for one or all of these reasons. Adderall is very dangerous, addictive, and high doses of it could cause “convulsions, coma, and death” (CESAR). When you hear someone use Adderall street names, it does not necessarily mean that that person is abusing Adderall, but there could be a higher chance of it. Adderall abuse can be extremely dangerous, and people use street names in order to hide or downplay their abuse of the drug. When you hear someone use one of these terms for Adderall, it is important to be concerned, especially if you are not sure if the person is using or not. People abuse Adderall for many reasons, and knowing the street names for Adderall can help you identify those who might do so. It can also help you be aware of what is happening around you.